If the new year has inspired you to get organized, an easy place to start is your closet. We're all guilty of letting our clothes pile up, but these tricks have nothing to do with purging or tossing some of your favorite items (which is music to our ears!). In fact, just changing the way you fold or hang an item can make all the difference. 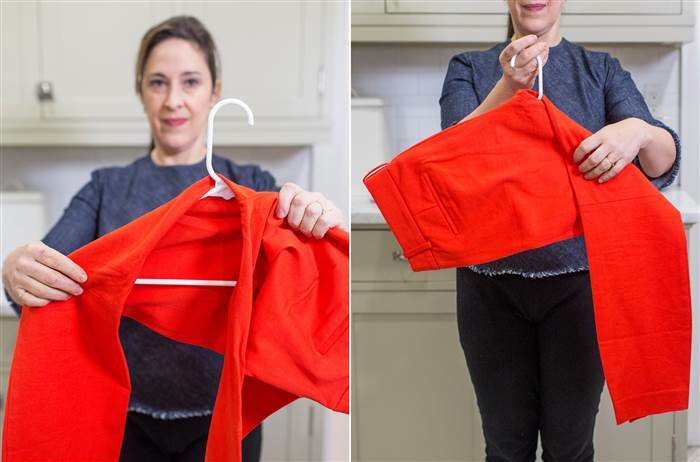 Lifestyle expert Elizabeth Mayhew shared her best tricks for folding and hanging those tricky items that cause the biggest headaches. Some are not only a pain, but also take up too much space in our dressers and cloests (like chunky sweaters and pants). These hacks are so simple, we'll be surprised if you ever go back to your original methods. You can thank us later. 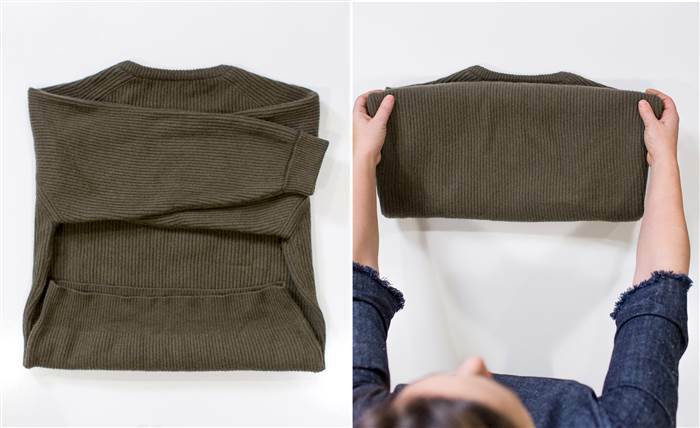 If you end up with a toppled mess every time you fold your sweaters, we feel your pain. Simply changing the way you fold can solve this problem once and for all. Mayhew shared how to perfectly store that chunky sweater, here. 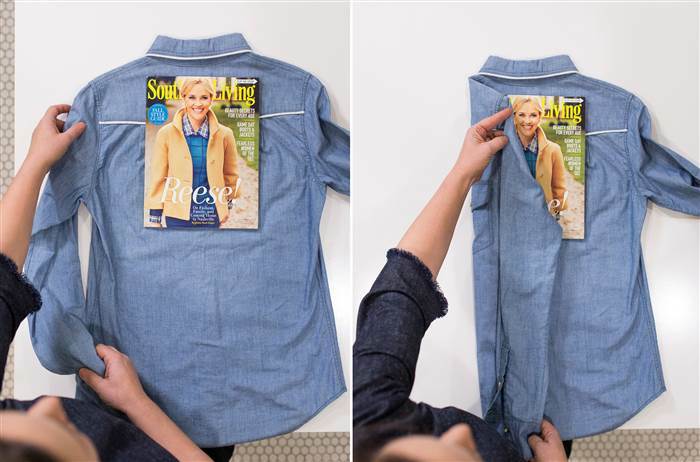 If it's folding a dress shirt that has you frustrated, we have a hack that's actually not as complicated as it looks. Mayhew's quick and easy trick involves using a magazine to get that perfectly crisp, department store-like fold. She gave us the inside scoop in this post. For those who can't stand when their pants have creases and wrinkles at the knees, Mayhew has a fix for that, too. She shared a simple hanging trick you'll love in this post. When it comes to pants, there's nothing more frustrating than finding your recently ironed pants on the floor after slipping off the hanger. 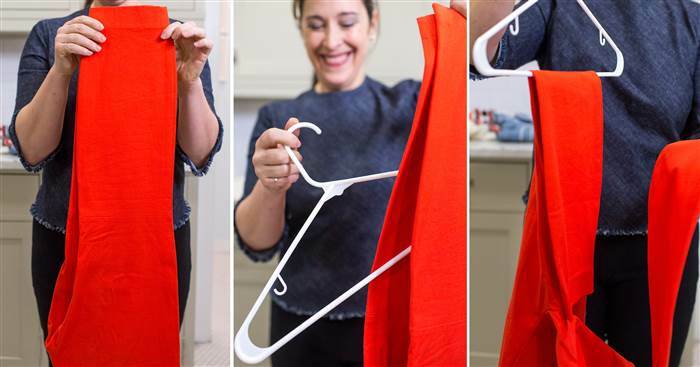 While it may have to do with the type of hanger, there's no need to go shopping; just change the way you hang them. Mayhew showed us how to master the perfect pant hang, here. We wouldn't be surprised if you start showing off your closet the next time you have visitors!